Mayotte Magnus’s photographs illuminate their subjects in an entirely distinctive way. Her instinct for tonal contrast and harmony, the play of light and shadow and the interaction of abstract shapes, underpin a penetrating investigation of appearance. But her images go beyond surface. Magnus’s portraits shed light on those deeper, personal qualities which define an individual – and in that respect they have an affecting humanity. Mayotte Magnus was born in France but has lived most of her adult life in England and now commutes between Kent and southwest France where she has established a multi-cultural arts centre. A Fellow of the Royal Photographic Society, her iconic portraits have been exhibited at many venues including the National Portrait Gallery, the Fonds National d’Art Contemporain, the London Institute of Contemporary Art and the Bibliothèque National. 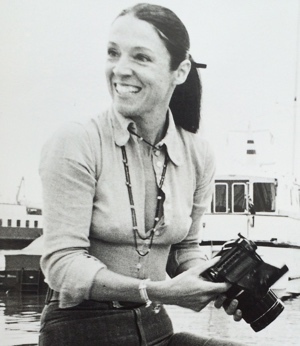 Her photographs have also been reproduced internationally in the press and magazines and the many books that have been published of her work and of her collaborations with her photographer husband Jorge (Yuri) Lewinski.